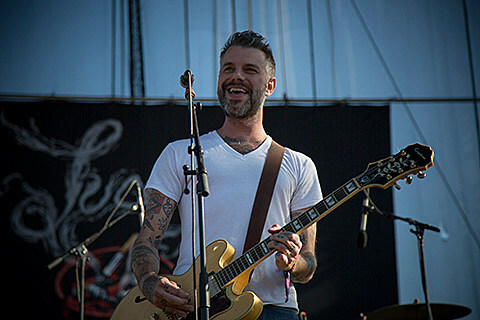 Country punks Lucero have a handful of dates coming up this year. They’re making a few festival appearances, like Nelsonville, Peacemaker and Kaaboo, and opening the Philly stop of Social Distortion’s self-titled LP 25th anniversary tour. In the midst of all that, frontman Ben Nichols is also doing a string of solo dates. One of Ben’s dates is a duo set with his Lucero bandmate Rick Steff, happening in NYC on June 12 at The Shop (presented by New Island Entertainment), Bushwick’s new bar, BBQ & motorcycle garage located at 234 Starr St. Tickets for that show are on sale now.